If you are familiar with the Opera Coast browser, you might know that it started out as a skunkworks hack. The word “hack” may come off as negative to some of you, but in this case, it’s a good hack! 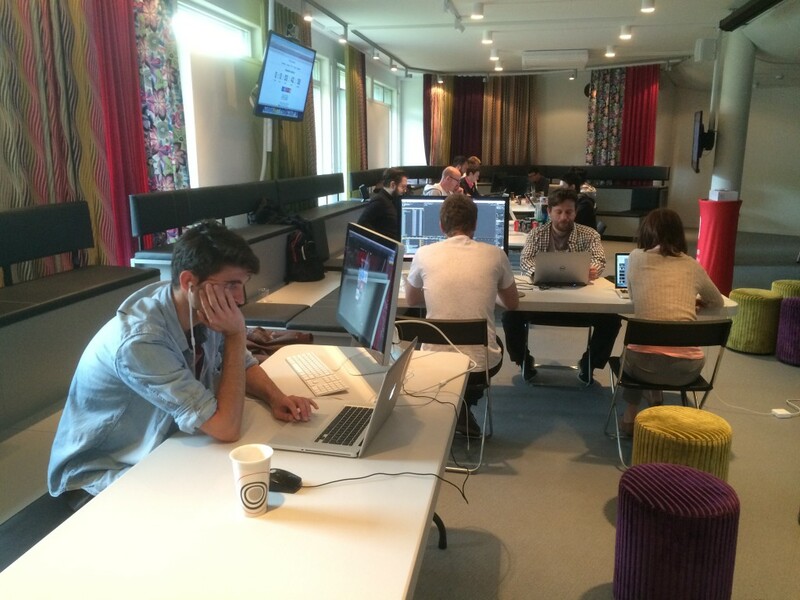 A hackathon is a collaboration, a code festival between developers to work on a project together. To spur creativity, the Opera Coast team recently gathered for a hackathon, where each member was asked to come up with a fresh feature idea for the browser and create a prototype by the end of the day. “It was exciting to see what we could do individually and get our hands on the basic stuff,” says Opera Coast team leader, Huib Kleinhout. The developers worked through ideas like “shake to enter private mode”, “Coast-Music/Apple-Watch Remix” and Instagram-like filters. After a round of open voting, Øystein’s read-later list idea was crowned the winner, based on its creativity and execution. 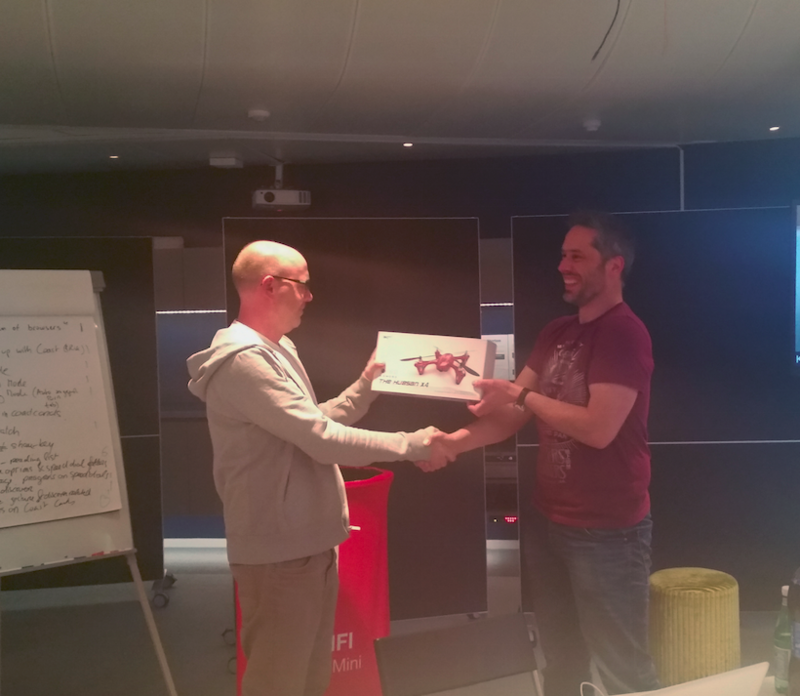 For his winning idea, Øystein received an HD-camera drone – and glory, of course! 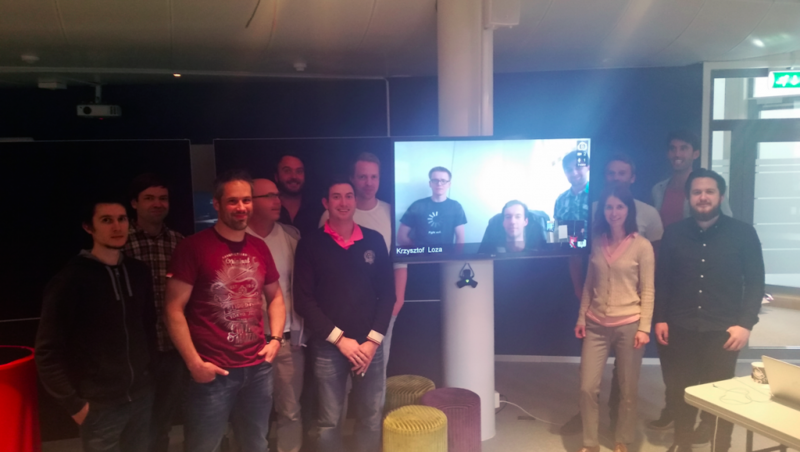 The Opera Coast team hackathon involved 11 engineers in Oslo, with 3 colleagues joining online from Poland. The team finished up the evening with a barbecue, playing FIFA 15 & darts until the beers ran out. If you haven’t tried Opera Coast, download it now and see what you’ve been missing! Do you have ideas for the Opera Coast Team? Poke them on Twitter and Facebook! Previous article: Jon Hicks, creator of famous emoticons, joins OperaNext article: Smallest phone?